Vicious wrestling matches with your suitcase zippers are officially a thing of the past. 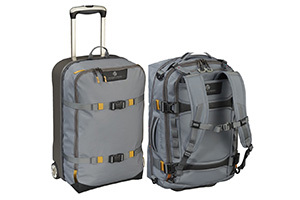 The Genius Packer by Genius Pack debuted in November with a unique compression air valve that expels unwanted air to maximize space efficiency. It also includes a toiletry kit, pop-out umbrella, removable hamper, and an optional electronic device charger to keep you powered up on the go. Geniuspack.com; From $198. This seemingly normal, hard-shell rollerboard from Micro-Mobility converts into a scooter in moments. You may get some looks rolling through the airport, but rest assured, they will be looks of envy. Kickboardusa.com; From $250. 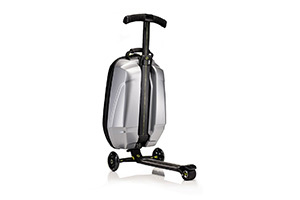 This burnished aluminum rollerboard suitcase from Travelteq can be a lifesaver when waiting in long lines. Activate the spring-operated legs, and you have a sturdy seat with a sliding top plate that functions as a cushion. The handle even turns into a backrest for support. Travelteq.com; From $694. If travel makes your child hyper, bored, exhausted, or — most likely — all of the above, Trunki has you covered. 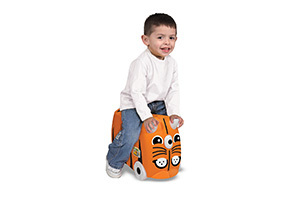 With a soft rubber seat and a strap for pulling, this child-sized suitcase for ages 3 and up is a very practical toy. Melissa and Doug; From $40. 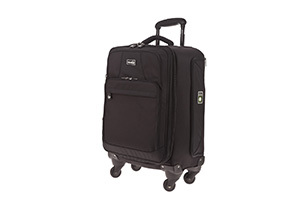 With a mobile dresser, two removable drawers, a toiletry organizer, and a small tote, this stylish and durable carry-on suitcase from the renowned Joy Mangano makes unpacking a breeze. While other passengers are still settling into their cabins, you can grab some quality quiet time at the pool. HSN.com; From $165. There’s no denying it: Some staterooms make a New York City studio apartment look like a castle. 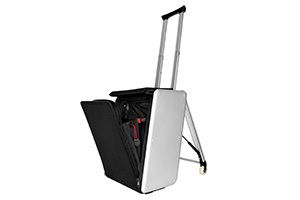 The Road Warrior 21” Collapsible Upright lets you maximize your space by collapsing to less than half its size for easier storage. 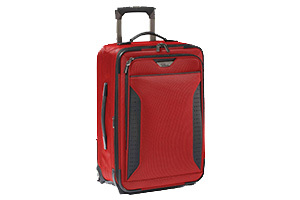 Ebags; From $329. Hybrid backpack/rollerboards are a convenient model that is becoming increasingly more common, but Eagle Creek’s Morphus, set to debut this July, is the one to beat. If you tend to book cruises that include long hikes, or you accumulate souvenirs at a rapid pace, you’ll love that the front conversion bag zips off to reveal the “Bi-Tech” shell inside, which serves as a second full-size bag. This lightweight, ultra-durable polycarbonate hybrid also comes with a “no matter what” guarantee that covers every conceivable type of damage. Eagle Creek; From $395. What kind of suitcase would you like to see developed? Love the suitcase scooter! What an awesome idea. I would love to see the TSA's reaction to the scooter suitcase. It’ll probably take some getting used to, that’s for sure. 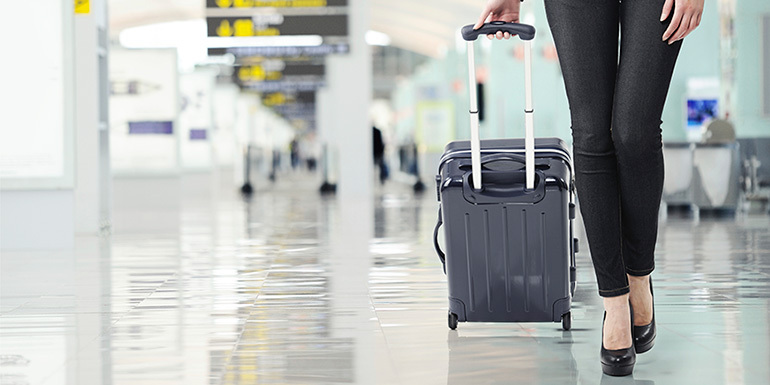 But since they are TSA-approved for overhead and under-seat use, and simply offer a faster and more fun way to navigate the airport, we could be seeing more and more travelers riding up to the security lines soon!